There is a small town on the GIRR Mountain Division. 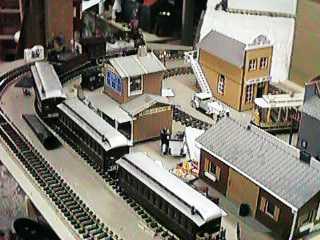 It consists of a saloon, a brothel, a few retail stores, a passenger station and a freight house. Even this small town has its own trolley line. As can be seen, the brothel is doing well as Madam has a Dusenberg.